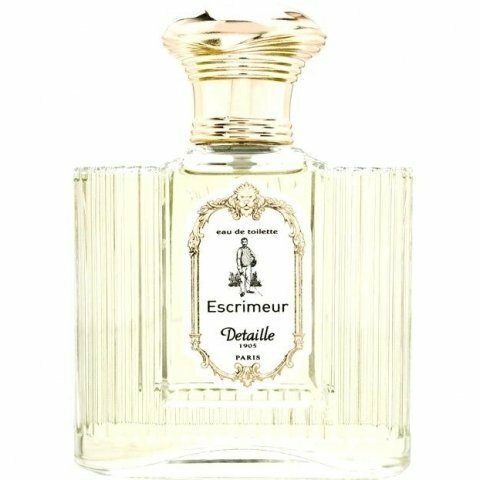 Escrimeur is a popular perfume by Detaille for men. The release year is unknown. The scent is green-citrusy. It is still in production. The top note is gigantic and beautiful: Fresh, fruity ... I thought even flowery, but apparently that comes from the combination of orange/lavender - slightly spicy, a bit green. 10 minutes later, some wood comes through. I'd say, wood and vetiver. The fresh fruity aroma is now gone but the fresh tone of bergamot and orange is lingering on. Even later, the scent does not turn shrill but remains friendly to the nose, with its woody aroma ... with orange and the essential oils of rosemary and lavender mixed in. One wants to take a real deep breath and that feels nice! A fragrance that uplifts and brightens the day. Overall, the scent remains close to the skin and I would rather label it an 'Eau de Cologne' than an 'Eau de Toilette'. Definitely, it can be worn by women, too. I could fancy it on myself, and that is saying something. 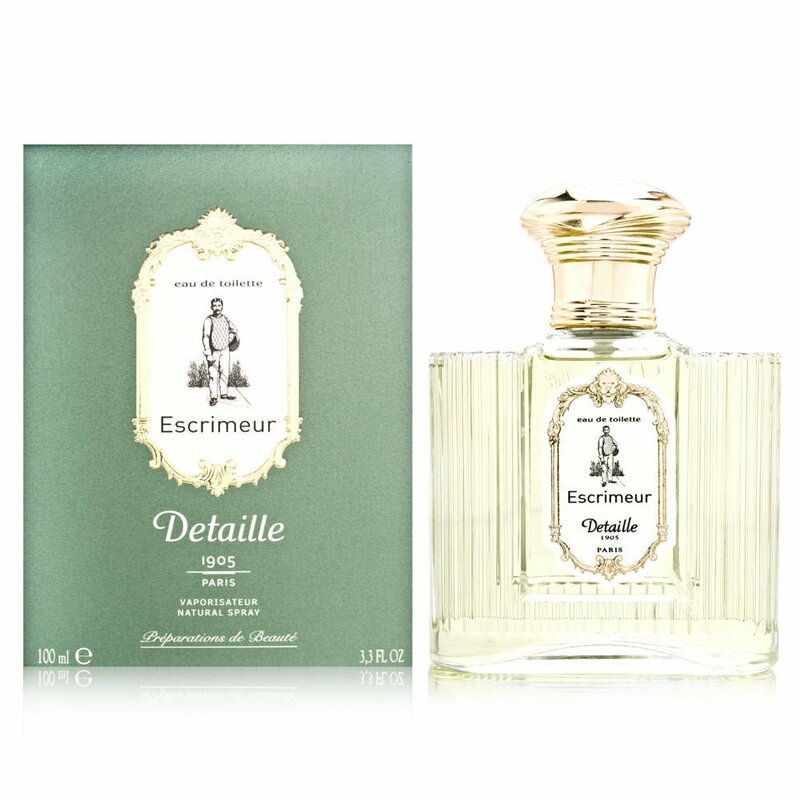 "Escrimeur" has a slight classic vibe but I can imagine that it might please people who normally don't know what to do with classic gentlemen scents. As far as price, it falls into the affordable category (100 ml for less than 100 Euros). All in all, a scent worth recommending. Thanks, Ergoproxy, for the sample. And thank you, Pipette, for the translation. Write the first Review for Escrimeur!